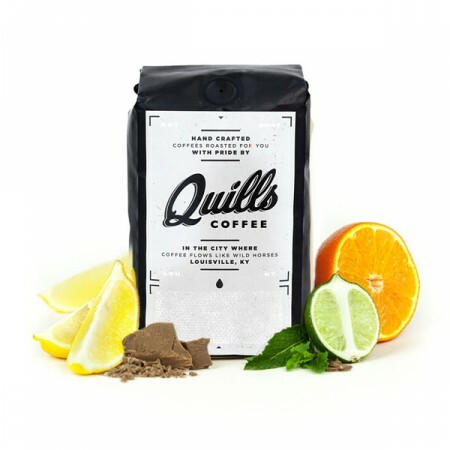 This is the Ethiopia Kayon Mountain brought to you by Quills Coffee. This fully washed coffee was grown by the Kayon Mountain Coffee Farm in the Guji, Oromia region of Ethiopia between 1,900 - 2,200 meters above sea level. We love this coffee for its nuanced notes of black tea and citrus with a delicate floral aroma. Surprisingly intricate coffee, lots going on :). Brewed well across all techniques. LOVE this coffee. Its got a beautiful brightness that I would expect from an Ethiopian. I have wanted to try Quills for a while now so this was really exciting! Wonderful brightness throughout the cup with pleasant acidity. Couldn't pick up on the lavender. Have been brewing it on both Kalita Wave and Aeropress. Beans smelled great. Brewed up bitter and bland. Lost all of those sweet chocolate notes.